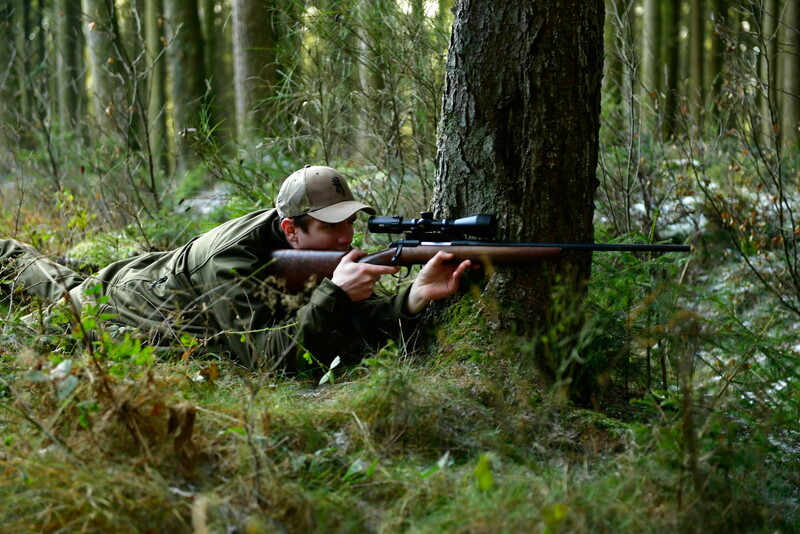 Choosing the correct calibre is essential to successful hunting, so let’s see what’s available? The amount of rifle calibres is vast, never more so than now, with seemingly new wonder cartridges coming out all the time! Faster, flatter, more terminal performance, better BCs the list goes on, which must be confusing for the novice. We should consider calibres by usage, in the UK there are three areas; rimfire (rabbits, hares, close range foxes), small and large centrefire, small – foxes, longer range varmints and small deer, large bigger deer. Rimfires are easy; 22 Long Rifle for rabbits at 50 – 75/100m, which moderate well, 17HMR effective out to 150/200m or 22WMR. 22 centrefires like 222/223 Rem or 22-250 fill the fox and varmint role and are also good for Muntjac and Chinese Water Deer. For larger deer – Roe to Red there is too much choice, but many single calibres will do it all! Dependent on the species you will hunt consider; 243/270/308 Winchester, 6.5×55 Swedish, 6.5 Creedmoor and 30-06. When choosing here are some considerations. Where can I buy it? The aforementioned cartridges should be available from most gun shops in a choice of options. What bullets does it offer? For example, a light/fast 6mm ballistic tip might not be well suited as it could damage meat, or not have enough knockdown power for bigger animals at longer ranges. What quantity? Buy one box then if that works, buy at least 100-rounds (of the same batch), once they have gone and even if you are getting the same thing, check a box to make sure nothing has changed. This also applies to overseas use. I think more wild boar are shot in Europe with 270/308 Win and 30-06 than the more traditional calibres. Plus, if your ammo gets lost in transit (it happens!) you are going to need to replace it, so common calibres are essential. Final thoughts, what game will you be shooting? If you only want to shoot Roe deer, then a 243 Win is ideal and something like a 30-06 might be a bit much! But if you plan to hunt most species then the latter cartridge is not a bad all-rounder. Conversely, 243 is an excellent fox/varmint round too. My final recommendations; rimfire 22 LR and/or 17HMR, small centrefire; 223 Rem and large centrefire; 6.5×55, 6.5 Creedmoor, 308 Win or 30-06.